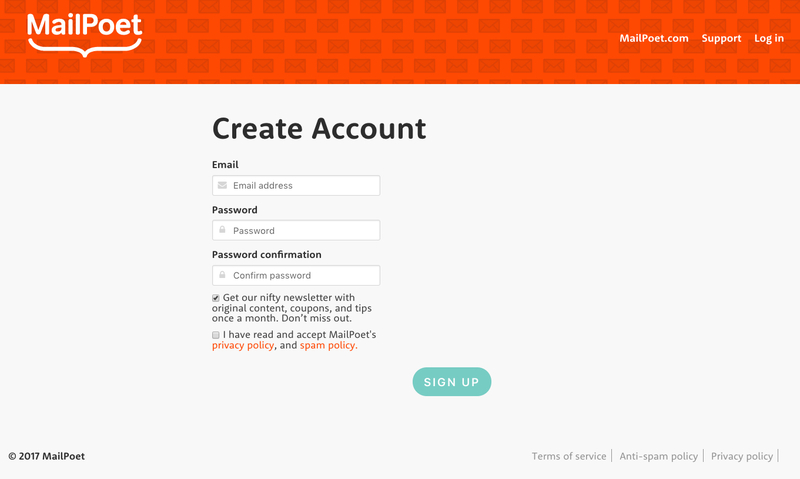 If you already have a MailPoet 2 account, please login here account.mailpoet.com/login with the same email address you used to create your MailPoet 2 account. Once you sign up, you'll get a message saying " Check your inbox now to confirm your email address and continue your order." If you have an activation key validated, you can download Premium plugin directly from here. If you need to get an activation key or edit the domain associated with it, click on the Manage link. Here's also where you can change the domain associated with each key you have. Here you can view and download the invoices for your purchases. 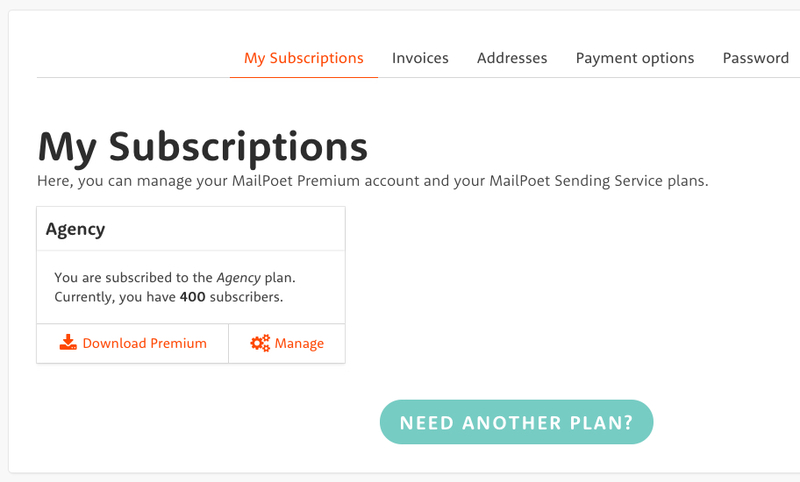 Please notice that your invoices and purchases from MailPoet 2 won't be displayed here but in your MailPoet 2 account. 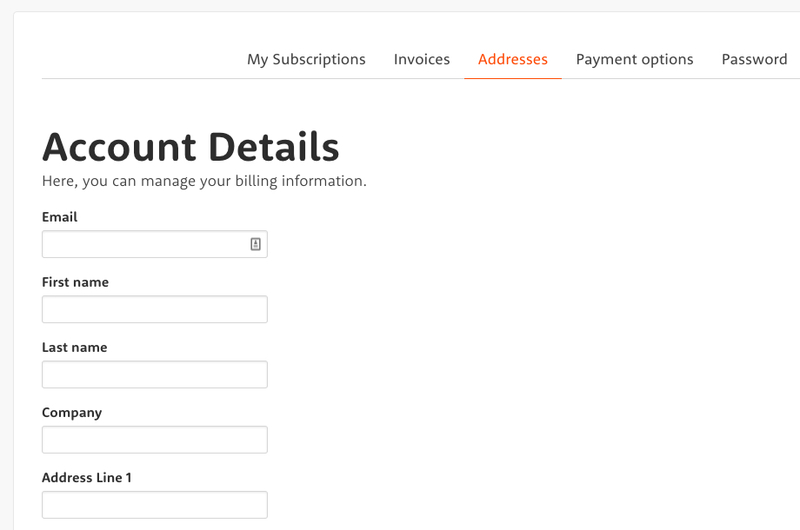 Manage your billing information: e-mail, name, company name, addresses, and also your VAT number. You can not delete your credit card once you already entered one. 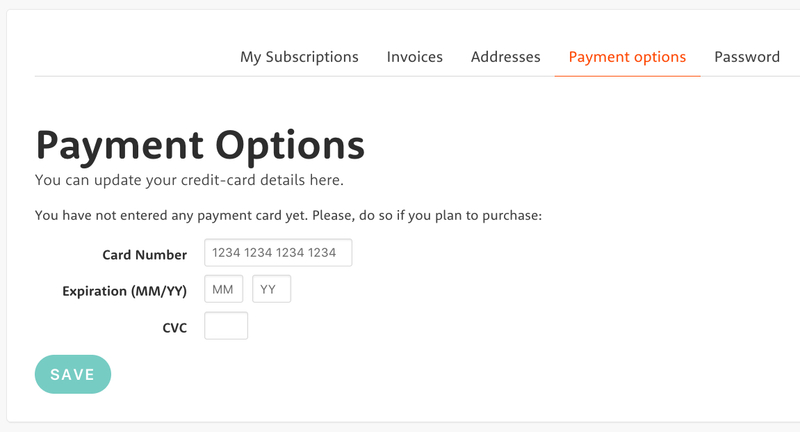 If you want to use a different credit card, just edit the payment options fields and click on the Save button to update. Access this tab if you need to change your password. 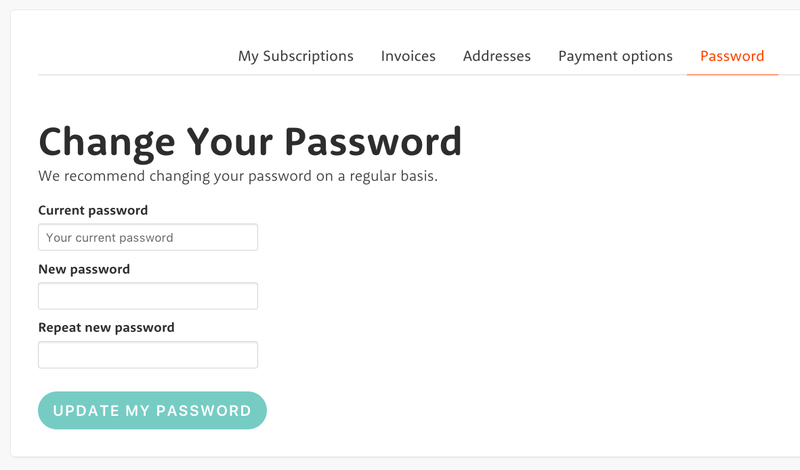 For your safety, we recommend changing your password on a regular basis. You can use Strong Password Generator, for example.